Introducing 5 Brand New Pontoons! 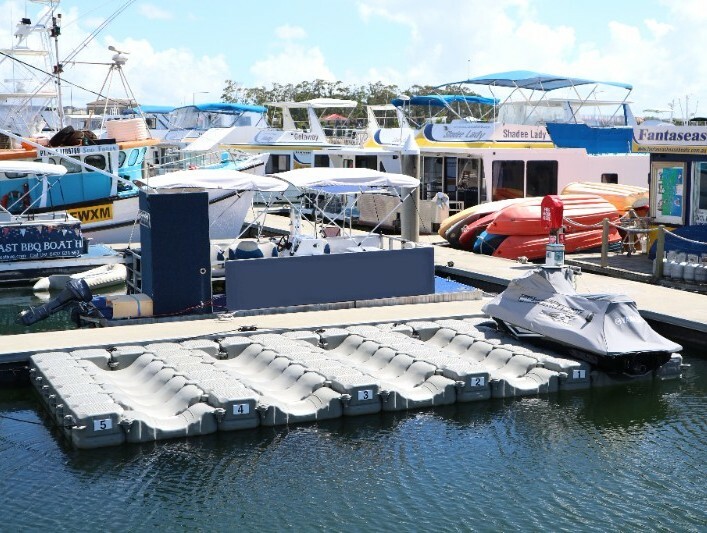 Hope Harbour Marina is very pleased to announce the installation of five brand new jet ski pontoons. Jet skis are able to drive on and off each pontoon, making getting out on the water nice and easy. What better way to enjoy the summer than an afternoon zipping around the broadwater! We are now permitting pontoon hire – first in, best dressed! Prices and terms are available upon request. Please call the office on 07 55301333 and speak to one of our friendly marina office staff today if you would like to hire a pontoon for your day out on the water.